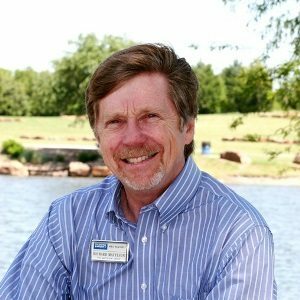 Hi, I'm Richard Matteson, Evan’s Dad, and I have been a part of The Matteson Group since April 2008 when I moved back to Rockwall Texas to start a new career. I have lived in 7 states in my life and bought and sold 9 homes along the way. 6 were in Texas and and 3 of which were new builds. I have learned that owning a home provides many advantages in life and I enjoy helping clients realize those advantages. I understand what it is like to be a seller and a buyer. I love to travel by car and enjoy the endless variety of beauty in America. My travels have also taken me to South and Central America, Canada, India, Singapore, New Zealand, Australia and England. In fact, traveling started my hobby of collecting foreign currency. My collection includes currency from 60 different countries. I enjoy the variety of colors and designs and how each country's heroes, natural resources and historical events are presented. I also work as a life coach and my process is founded on individuals finding clarity, possibility and action for their lives. Watching people change through coaching is amazing! My work with people in business, church and non-profits has given me a variety of experience on which I continually rely. A deep love of learning has made me more confident, responsible and relevant to my clients. These skills help me guide (or walk) clients through one of the most significant steps in their lives, buying or selling a home. That's why I enjoy being a Real Estate Consultant with The Matteson Group. He has been a Vice-President of a small business, National Coordinator of Area Representatives for a non-profit, workshop leader, Associate Professor at Liberty University, and a consultant. Presents workshops and seminars related to life issues including Blended Families, Single Parenting, Divorce Recovery, Caring for Aged Parents, Singles & Youth Ministry. Richard has traveled to Australia, India, Singapore, Central and South America, Puerto Rico, Canada, and England. Written four booklets helping those who are dealing with divorce: Separated from your Spouse – Now what? ; Beginning Again as a Divorced Adult; Creating a Healthy Blended Family; and Becoming a Good Single Parent.